Over 2.5 3 Million Tires! There's a reason so many tire shops, car dealers and auto parts recyclers rely on us for their Tire Inventory Software. Our Tire Inventory Software helps you easily manage your used and new Tire Inventory. Whether you only need simple tire inventory control for small inventories of 50 tires, or require a comprehensive tire management solution for larger tire inventories of 50,000+ tires, the Used Tire Shop application is designed to support any size tire shop, car dealer or auto parts recycler. from any computer or mobile device. The foundation of inventory control is capturing important details. Better and more detailed information improves inventory control and decision making at every level. We provide a flexible way to capture critical details with simple to advanced workflows. All designed to help maximize the value of your inventory and increase profits. Searching tire inventory and answering customer inquiries is a frequent task. Inventory Search tools need to be fast, provide options and deliver results. We deliver a performance based tire inventory search tool that offers a range of filters and options helping to quickly answer your customer and improve sales. It’s important to properly identify your inventory. Labeling can help provide clearer, more detailed information and prevent common inventory mistakes. 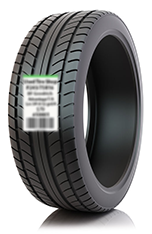 Our tire labeling feature helps you to easily identify inventory and important tire details. This improves your inventory control, lowers costs and provides a more professional appearance. Knowing where to store and quickly locate your tire inventory in racks and other configurations can be a challenge as your inventory grows. Our inventory location management tools helps employees to store and locate tires fast. This helps to improve your shop's efficiency and reduce labor costs. Selling is your main objective and having the ability to effectively sell and update your tire Inventory is essential to your business. We provide a complete invoicing solution that’s directly integrated with your tire inventory. From a simple quick sale feature to comprehensive customer focused Point of Sale functionality. All designed to improve selling and add to your bottom line. There’s a lot more to tire inventory control that just cataloging a tire. 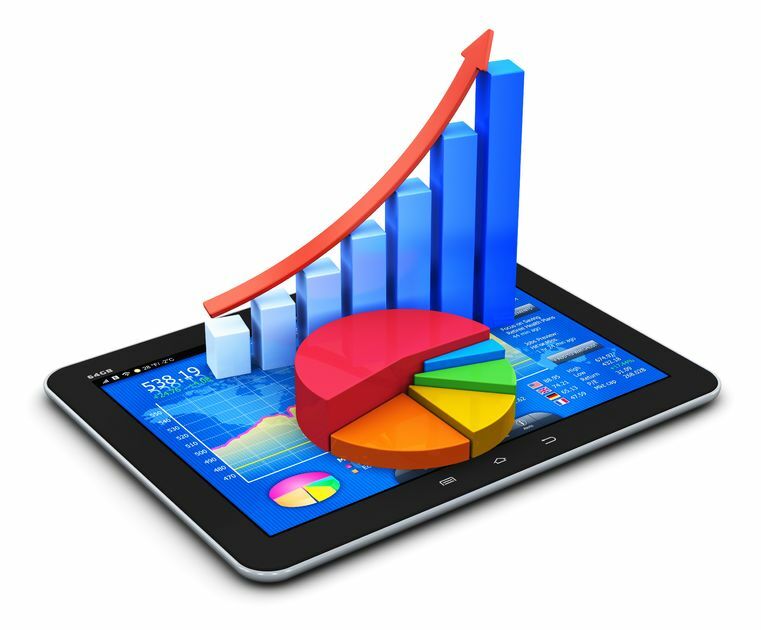 We understand this and provide a range of important features designed to analyze, build and increase the value of your inventory and improve overall sales. No Software to Install or Manage! 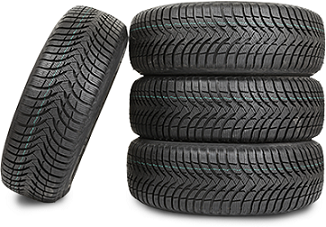 Used Tire Shop includes a full featured customer invoicing and Tire Shop Point of Sale (POS) module directly integrated with your tire and product inventory. Easily create and print Customer Sales Invoices, Estimates and Work Orders. Manage customer and vehicle information, invoicing history and more. Quickly select or scan tire inventory directly to an invoice. Print an invoice and your inventory is automatically updated and marked as sold. Our detailed product catalog allows you to include any range of products or service items such as mounting and balancing, alignments and brakes. Start Selling for Free Today! Your Tire Inventory can also be kept private and only visible by your business. You decide. If you want your tire inventory public, we have the tools! Get your tires online quickly and easily. In under a minute you'll have a tire saved in inventory, complete with images, and immediately available to display anywhere online. Take advantage of our custom listing tools that enable you to list and sell on high-traffic websites like Ebay, Craigslist and others with a few clicks of the mouse. With Used Tire Shop you have the option to display your inventory online and visible to potential buyers 24/7/365. Customers will be able to search the actual inventory you make available by tire size or vehicle information even when you are closed. This feature alone can easily increase your sales by over 25%. Let us show you how. Our Tire Shop Software also includes a wide range of essential features designed to support the daily operations of your Tire Shop. Because its important to identify Your Tire and Product inventory! Over 7 different label formats available to support your Tire and Automotive Inventory. 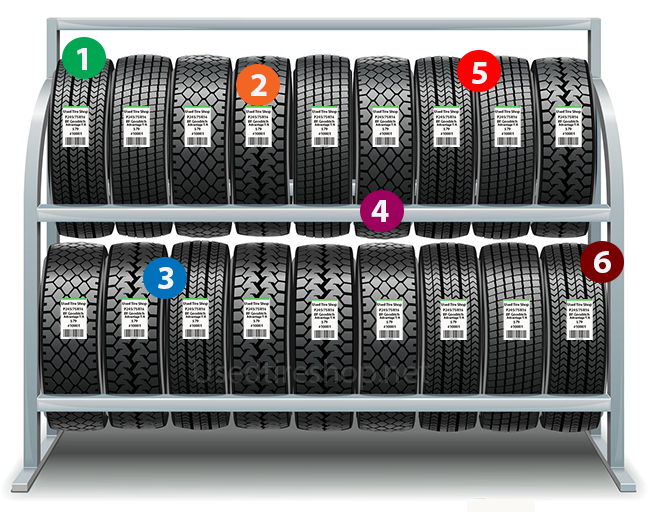 Identifying your tires is an essential part of inventory control and that's why we developed our Tire Label Print Utility. It's designed to accurately print detailed tire labels in a professional format. No need to write tire sizes by crayon because our labels provide all the information you need in a fraction of the time. Simply enter your tire into inventory and print a label. Easily customize by selecting the information you would like to appear on your inventory labels. Learn more about our Tire Label Inventory Utilities. Find any wheel in seconds! Increase your aftermarket and OEM wheel and used rim sales through our wheel inventory management tools. 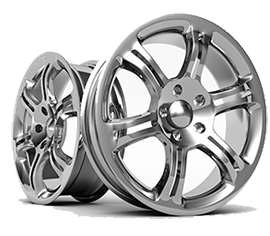 Designed specifically for wheels, you can easily catalog your wheel with information that includes rim size, offset, bolt pattern, finish and more. Quickly search for any wheel with our advanced wheel search and filter tools. Use our wheel fitment tools to locate the correct wheel size every time. Our Tire Software also helps you create and manage a new tire catalog. Build from your existing inventory or select and add from popular brands, models and sizes. Always know the tires you have in stock and what's available for order from your tire suppliers. Our tire search tools will ensure that your sales people present the customer with every tire option available and always quote the correct price. We're always developing unique features to help your business build revenue, increase customer retention and offer expanded services. Here are just a few. Selling on eBay allows you expand sales beyond your local area and sell tires online in an established and trusted marketplace. Our application is directly integrated with eBay allowing you to easily post tires along with images in 1/10th of the time it’s takes to manually list a tire on eBay. Our Customer Storage feature gives you the ability to provide and manage seasonal and temporary storage for tires, wheels, vehicles and other items. Storage is integrated with existing features including customer invoicing, vehicle information and other essential areas. Our custom wholesaler module is designed specifically to service the needs of Used Tire Wholesalers, Exporters and Tire Disposal Companies. Effectively manage large volumes of used tire inventory from the point of collection to resale, distribution and delivery. Take a look at some of the reasons why shop owners choose us for their tire and auto repair business. We provide the right balance of important functionality and useful features. From simple and advanced tire inventory control to selling and tire shop operations. Our application is designed to offer flexibility. We recognize the tools and features that your tire shop needs today are not always the same as you require in the future. We deliver a fast and reliable platform regardless of the number of tires and products you need to manage. Whether you are managing an inventory of 100 or 100,000 tires, you’ll find what you need fast. We have a proven track record of delivering results you need for your business. We hear from shop owners all the time at just how easy to use our software is even with all the features it offers. There's no complicated software to install or manage. This means you are up and selling fast! We offer the most affordable, feature packed tire shop software available with monthly plans starting at $59. With us you won’t find any startup fees, complicated add-ons or long term contracts. We pioneered used tire inventory software and continue as a leader on a path of innovation for the tire industry. Our experience allows us to develop and introduce new functionality for your tire and auto repair business. Because we understand one size does not fit all. 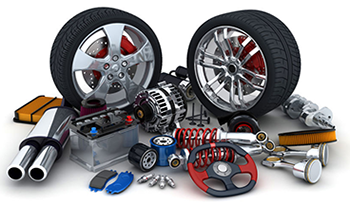 Used Tire Shop Software offers a range of packages and features designed to fit the needs of any tire business. Starting at $59 per month, our tire shop software is feature packed and affordable. No setup fees, no contract and no complicated pricing. Because our application is cloud based, there's no installation allowing you be up and selling in minutes. When your business grows it's easy to upgrade right from your shop. Just pick a version with the features your tire business needs.